Yesterday at The Muthaiga Golf Club CMC motors unveiled the Ford Mustang 2017. 2 Ford Mustangs were on show, a silver Mustang and a red Mustang. The Ford Mustang is Ford’s most iconic model and has been since it was launched in 1964. More than 9 million cars have been sold around the world. The Ford Mustang is available at CMC Motors Kenya and costs Ksh. 10 M for the manual V8 fast back and 9.5 M for the 2.3 litre version. 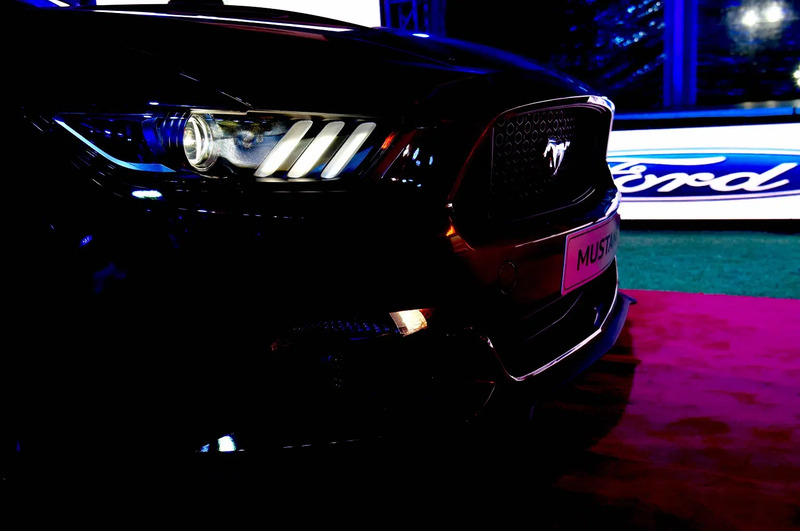 The Ford Mustang 2017 available is the right hand drive version and is the first Mustang to be launched in Kenya. The US Ambassador to Kenya, Robert Godec was the guest of honour at the launch. There will be 2 models available in Kenya. The 3 Litre turbo charged eco-boost engine which available in manual, automatic, fast back and convertible. The 5 litre V8 GT engine which is available in manual, automatic, fast back and convertible. The new Ford Mustang features innovative technologies, so that drivers get enhanced info, control and connectivity. The Ford Mustang has been featured in many movies including James Bond and the car has made more than 9000 appearances in movies, television, music, books and video games. The Ford Mustang comes with a 3-year/60 000km warranty, with the option of extending the warranty period by purchasing a Ford Protect plan or optional maintenance plan.To find out more about the Ford Mustang you can find out the features here. Photos courtesy of Amos Rono.